Tributes to Daphne Caruana Galizia at the foot of the Great Siege Memorial in Valletta during the vigil on Sunday. Photo: Reuters. 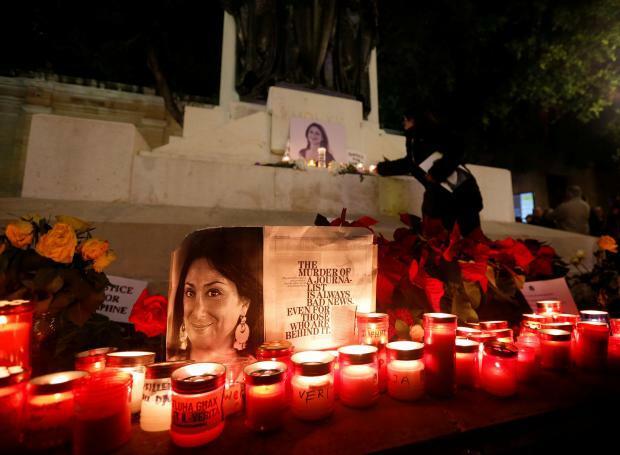 Tributes to murdered journalist Daphne Caruana Galizia were again removed from the foot of the Great Siege Memorial in Valletta just hours after a vigil marking her death and what protestors say is a continued lack of justice. Flowers and candles left on the site during the vigil on Sunday were cleared by the morning, with activist group Occupy Justice condemning the act as a "continuation of this government's trampling of our human rights". The protest site has been cleared by the authorities more than 200 times since it started being used for that purpose in October 2017. The group said on Facebook: "Last night we came together in protest at the corruption, criminality and impunity of this government, to remember a journalist assassinated in our own country. We continue to take a stand against all these things by the simple act of placing candles and flowers. The monument as it appeared on Monday morning. "They can continue to try to sweep away the memory of #daphnecaruanagalizia, but the more they try, the louder we will roar." 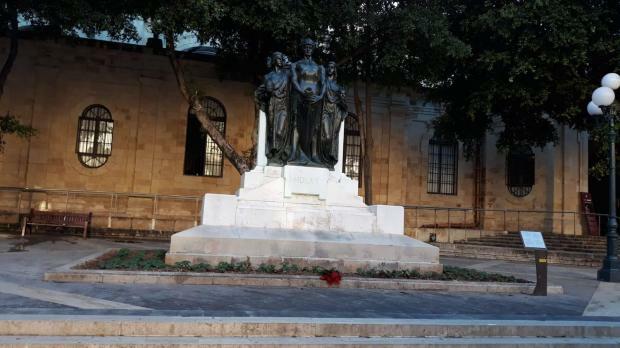 Authorities boarded off the monument for restoration works in September, with Culture Minister Owen Bonnici claiming wax from the candles had damaged the stonework. Activists continued their protests on the outside hoarding before the monument was opened again earlier this month. International press freedom groups have called the authorities' actions an "unacceptable violation of the rights to freedom of expression and peaceful protest" and called on the government to ensure "a safe and enabling environment for freedom of assembly and the right to protest". Dr Bonnici has said his actions are consistent with the rule of law and that all flowers and candles must be removed once an activity end.